Farewell Boston! -- Maybe? - When pigs fly. After searching for a roommate/housemate for three months (which has been a completely unsuccessful waste of time, effort and money), I'm admitting defeat. Since I enjoy travelling and am home only 20-25% of the time, it does not make sense to have a deluxe condo that I'm paying for, but not being used. Of course, I read this opportunity as something I shouldn't pass up! I interview on tomorrow. Ooo..! If you don't want to live IN the city, you can live outside it and travel in. It's really expensive there, so make sure you get a good salary. Not sure if you know, but D.C.... the actual center of the city is upper class, mostly white, etc. Everywhere around the city? Not so nice. I lived in Columbia, MD which is about 30+ mins north. It was nice. The position is with IBM BCRS. As you know, BCRS is a passion of mine! Best of luck/break a leg with the interview and way cool to turn not finding a roomie into a possibly positive situation. OK, I give up. 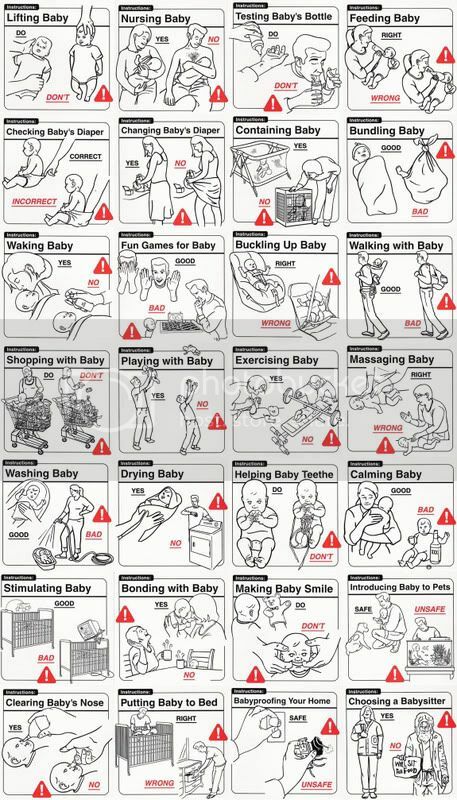 Is that a real baby info poster or a gag? Com'mon, of course it's a gag! Damn!! I was SO hoping it was for real! !